Changes are possible for any given month. This Agenda is proposed programs only. Agenda will be updated as further information becomes available. 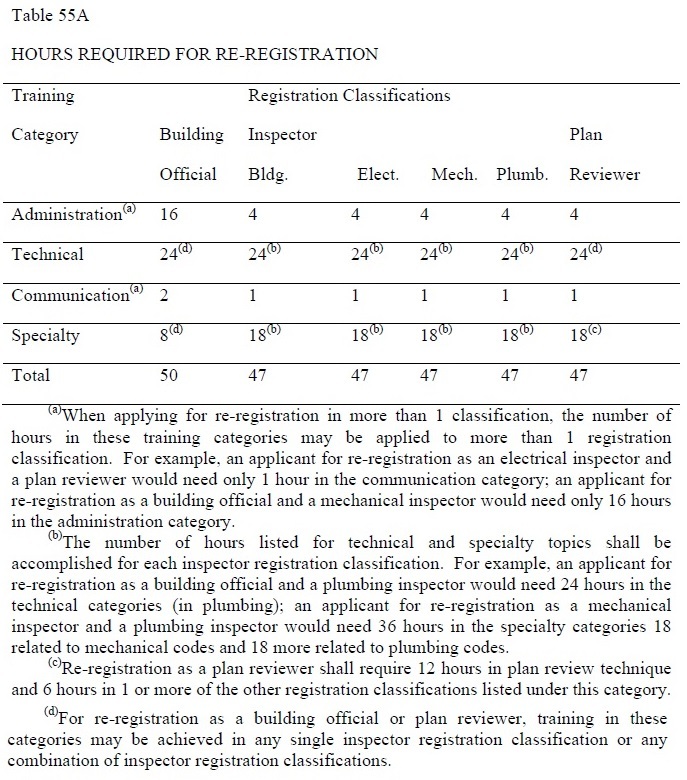 This Table can is part of the Building Officals, Plan Reviewers and Inspector Rules which can be found at the Bureau of Construction Codes website.